Two things we love most around here are Science Experiments and Sensory Play. In fact, we love it so much that we host a series every month all about Sensory Doughs. Each month, our spin is science related and we spend time predicting and investigating the science of sensory dough. 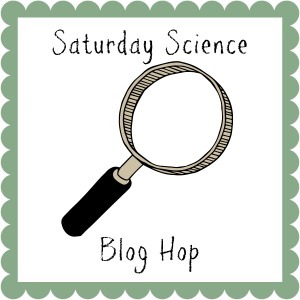 I thought it would be really fun for Saturday Science, to feature the science experiments we have with sensory doughs, in case you missed them. If you are a regular here, you know all about sensory dough and its benefits. However, for all my new visitors to this community, I’d love to take a moment to explain Sensory Doughs and their benefits. Sensory Dough is any play recipe that can be molded, scooped, poured, and manipulated by little hands. It can come in all shapes, sizes, and colors. Sensory Dough can be used for fine motor, science and discovery, literacy, and language development. 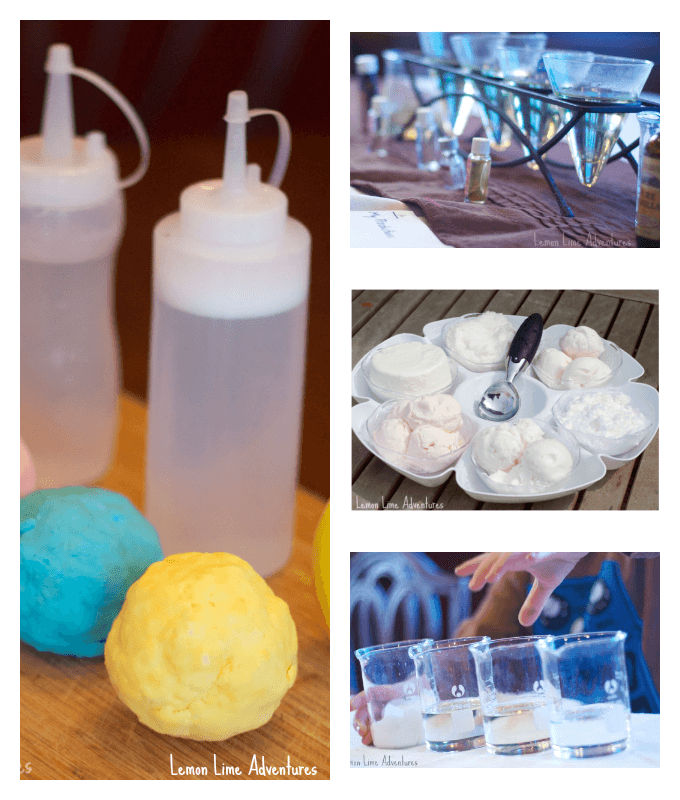 Sensory doughs are a great way to extend any unit, theme or project with hands-on learning. Using a variety of sensory doughs, such as moon sand, cloud dough, and fizzy dough allows children to experience concepts and skills repeatedly with varied experiences. How Can Sensory Dough Be Used for Science? 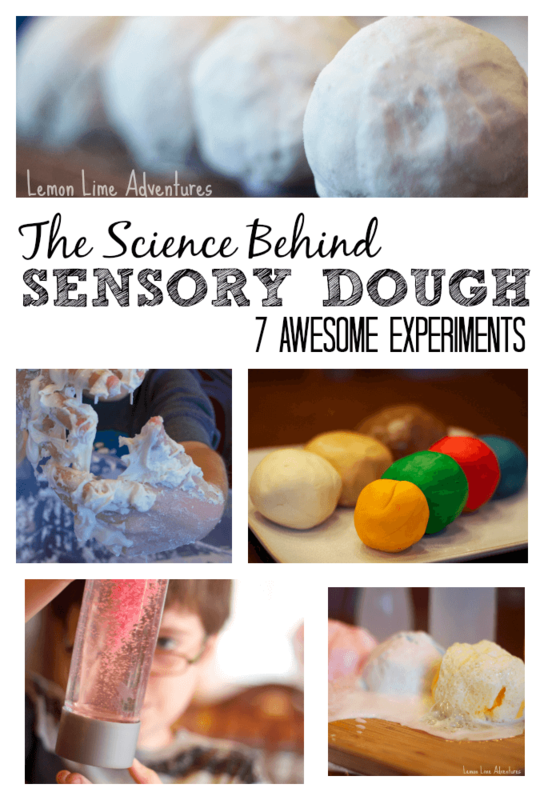 Sensory dough lends itself to scientific discoveries and concepts quite easily. Just the recipe itself is a science experiment, let alone all the discoveries that can be made. Around here, we love to figure out how the sensory dough works, by testing several variations to one recipe. The possibilities are endless! Use Cloud Dough to test viscosity of liquids. We even made a free printable for you! Try making Foam Dough by changing the proportions of each ingredient. Use Edible Playdough for Comparisons/ Observations. We studied our 5 senses and made another PRINTABLE for you! Scented Dough makes the for the perfect science experiment to make predictions. We tested several different scents before we made our rainbow cloud dough. We had so much fun using Moon Sand to test Absorption. We never thought we would see the results we did. Ice Cream Dough is a great way to study States of Matter. Is it a liquid or solid? Or a little of both? If you want to test Chemical Reactions, try out some Fizzy Dough for hours of fun! Do you have a favorite sensory science activity? I would love to hear more about it! Connect with me on Facebook, Twitter, Google+, Pinterest, Instagram or subscribe by email. I can’t wait to hear your ideas.